Voodoo is known for wacky, indulgent, and delicious doughnuts, ranging from the Bacon Maple Bar doughnut (with slices of bacon on top), to the Memphis Mafia doughnut (with banana chunks and cinnamon, covered in a glaze with chocolate frosting, peanut butter, peanuts and chocolate chips on top), to the Triple Chocolate Penetration (chocolate cake, chocolate frosting, topped with Cocoa-Puffs). 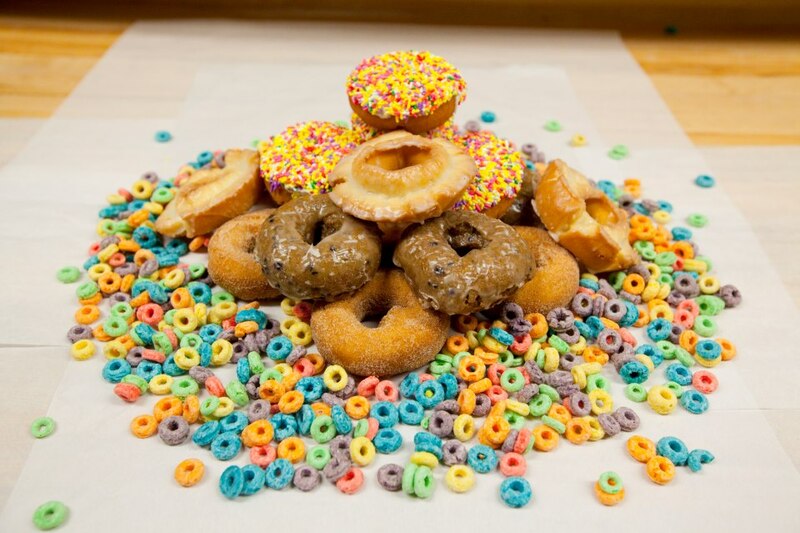 From cereal-topped doughnuts, to R-rated doughnuts, Voodoo has a little something for everybody. It even has a selection of vegan doughnuts. For a list of the doughnuts Voodoo offers, click here. Voodoo Doughnut is located at 1520 E. Colfax, near the corner of Colfax and Humboldt. Not finding it? Just look for the bright pink facade! For more information, visit Voodoo Doughnut’s Facebook page. Interested in buying a house or condo nearby? Click here to see what’s for sale.